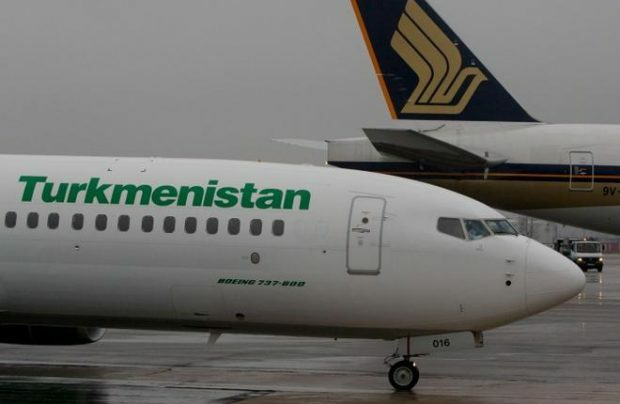 Turkmenistan Airlines, the national carrier representing the country of the same name, has taken delivery of yet another brand-new Boeing 737-800 narrowbody. The aircraft seats 160, and is one of the three ordered in 2014, the country’s government information agency turkmenistan.gov reports. According to open source, the aircraft (EZ-A020) first flew on June 16, 2017. It arrived at the carrier’s base Ashgabat on June 28. Turkmenistan Airlines also operates Boeing 717s, 757s, and 777s. Under the government program to develop the country’s civil aviation sector, the airline’s fleet is expected to double in size to 40 airframes by 2030. The carrier is reportedly looking to purchase aircraft by other manufacturers, including regional airliners seating 50 to 100 passengers to replace its current aging airframes. The operator intends to expand its route network with the new fleet capabilities. There are plans to launch flights from Asgabat to Milan, Jiddah, Ho Сhi Minh, Tehran, Tbilisi, Tashkent, and other destinations.